I am JoAnn Flynn, a Licensed Professional Counselor (LPC), an Expressive Arts Therapist, a Registered Play Therapist (RPT), and a Certified Poetry Therapist (CPT). My advanced educational background includes a Masters Degree in Clinical Mental Health Counseling and Expressive Arts Therapy from Lesley University, a Certificate of Advanced Graduate Study in Play Therapy from Lesley University, and a Masters Degree in Special Education from The College of William and Mary. To bring the most up to date and effective methodologies to my clients, I have acquired specialized professional trainings and certification programs to include Trauma Focused-Cognitive Behavioral Therapy (TF-CBT), Mandala Assessment Research Instrument (MARI), Poetry Therapy/Bibliotherapy, and a one-year post graduate training in Sandtray Therapy at the Family and Play Therapy Center of Philadelphia. I am a member of the International Expressive Arts Therapies Association, the Association for Play Therapy and the National Association for Poetry Therapy. 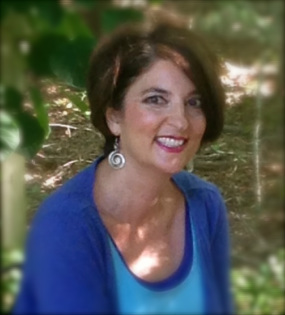 As a Connecticut Teaching Artist, I have presented my work nationally at professional conferences and workshops for therapists and educators. I have developed original teaching and therapeutic tools to facilitate and support the creative process for individuals and groups. My personal experience with this work began in the classroom working as a Certified Special Education Teacher. I discovered the transformative power of poetry, play, and the expressive arts during my time teaching children struggling with emotional and behavioral issues in a special education setting within public schools. The potential was so powerful that I began to explore the multimodal approach to expressive arts and engage my own discovery process. I work directly with children and families using a unique combination of therapeutic and holistic approaches, while serving the individual needs of each child. By blending Cognitive Behavioral Therapy (CBT) and mindfulness into play therapy sessions, your child will learn coping skills to address anxiety, depression, anger, fears, and difficulties at school. Parents will be given tools to help decrease stress, strengthen the family system, and ensure success. As a former special education teacher of eighteen years, I have a strong base of experience working with children experiencing a wide range of emotional, behavioral, and learning issues.